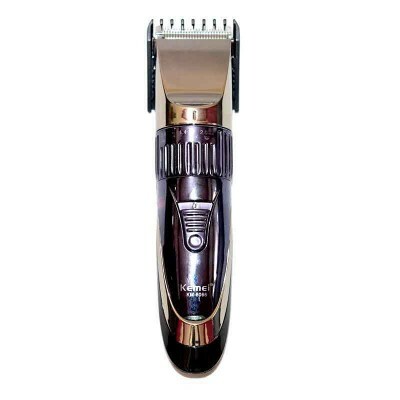 Kemei KM-8066 Cordless Hair Clipper. If you are up-to-date, keep an eye on your own style and quality of haircuts, then the Kemei KM-8066, Cordless Hair Clipper is designed especially for you. With this amazing device, you can fix your hair in few minutes and put your hair in order without spending time and money on long trips to beauty salons. - The Kemei KM-8066 hair clipper is a unique tool that is equally well suited for professional hairdressers as well as for home use. She is convenient in work, does not demand any additional skills and abilities. The practical Kemei KM-8066 hair clipper has a rotating ring and a nozzle with which you can easily and precisely adjust the length. provide you with up to 25 options for different lengths of haircut. - Kemei trimmer works both from the network and from the battery. This will save you from searching for sockets and tangling wires during operation. Full battery charge will provide you with an hour of uninterrupted operation of the device. In addition, the machine has a compact size, it is convenient to take it with you on trips, it takes up little space and can be on hand at any desired moment. 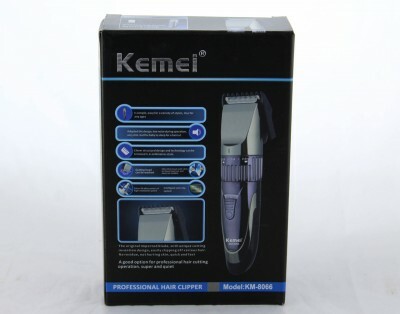 - Professional clippers Kemei has a stylish design and well-thought-out ergonomics. It is comfortable to hold in your hand, it does not slip, it has a small In addition, the machine has a compact size, it is convenient to take it with you on trips, it takes up little space and can be on hand at any desired moment. Professional clippers Kemei has a stylish design and well-thought-out ergonomics. It is comfortable to hold in your hand, it does not slip, it has a small In addition, It is comfortable to hold in your hand, it does not slip, it has a smallweight. Knives are made of high quality stainless steel, do not be blunt, do not cause irritation and discomfort. The machine does not require any additional care. It is equipped with a removable head, making it easy and convenient to clean. In addition, the set has a special brush that will help you quickly and efficiently clean this device. - The advantages of a wireless clipper : · Versatile, suitable for both professional use and home use. · Thanks to a removable nozzle and a rotating ring, it allows you to choose different options for the length of the haircut. · Compact, convenient to take with you on trips. · Ergonomic, comfortable to hold in your hand, non-slip, lightweight. · Knives are made of high quality stainless steel, do not be blunt. · Works from the accumulator and from a network, thanks to it you can use the machine in any conditions. · High-quality assembly, the machine will serve you for many years. · Does not require additional care. - Product Specifications :· Device type - hair clipper · Body - plastic. · Blades - stainless steel · Automatic charging. · Removable battery · Removable head. · Size : 138 x 35 x 35cm · Weight : 115 gr Equipment. 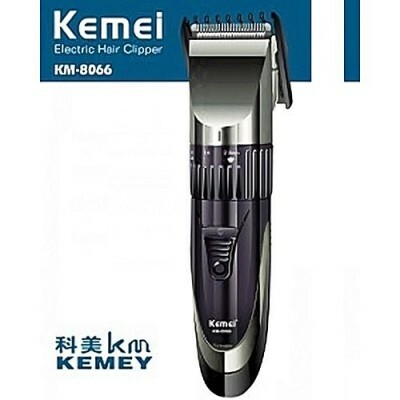 · Kemei KM-8066 Cordless hair clipper · Nozzle, adjusting length. · Appliance cleaning brush · Knife lubricant · Charging cable. 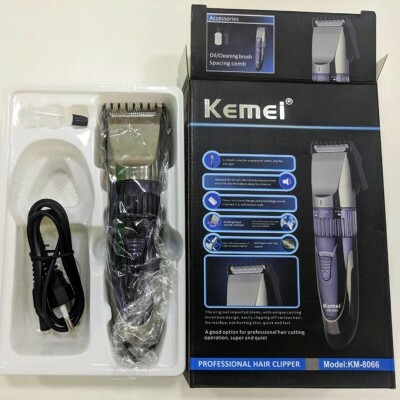 · Instructions for use · Individual packaging Kemei KM-8066 Rechargeable Hair Clipper is designed for people who keep an eye on their appearance and take good care of their own time. With it, you will look stylish in any situation. 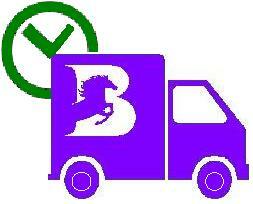 - Note : 100% Brand New & Genuine Products.